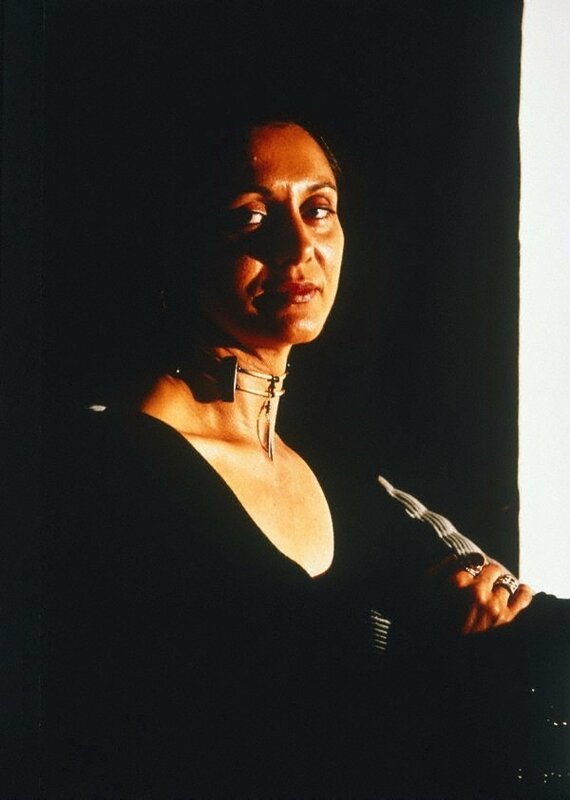 'Strange fruit' was first exhibited in 1994 at The Performance Space, in partnership with Boomalli Aboriginal Artists Cooperative. The title, 'Strange fruit', is drawn from the Billie Holiday song about the racial atrocities that occurred in the deep south of America, but also considers the use of the term 'hybridity' in relation to contemporary arts practice with cross-pollinated images of racial identity. In the initial installation, the images were intimate in scale and displayed in conjunction with native and introduced species of fruit and flowers that rotted during the exhibition, while a looped sound-piece comprising the overlaid voices of the women depicted, continuously played. This rich sensory experience played with the notion of 'strange fruit' and what this may be. The works exhibited here are on a much larger scale. Each of the images provides an intimate portrait of one of Croft's friends assuming a specific character, including Billie Holiday. The work refers to the classification and preconceptions of who is actually of Aboriginal heritage and what an Aboriginal person is supposed to look like in contemporary Australian society.